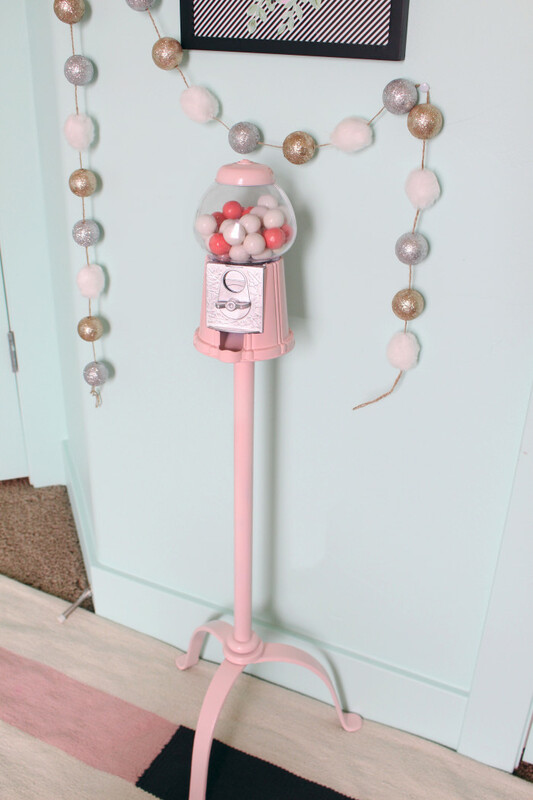 Since bubblegum is one of my very favorite flavors in the whole wide UNIVERSE, I’ve always wanted to have one of these retro gumball machine stands. I’ve actually had plans for the last decade to someday turn one into a fish tank, would that not be the best aquarium ever!? Alas, I am in no state to take on any more pets/lifeforms to take care of, I feel like even adding a beta fish right now would just push me over the insanity limit. My pets take so little time from me but you know when you’re just so busy that even thinking about thinking about something new in your life is like way too much?! Of course you know! You’re crazy busy too! 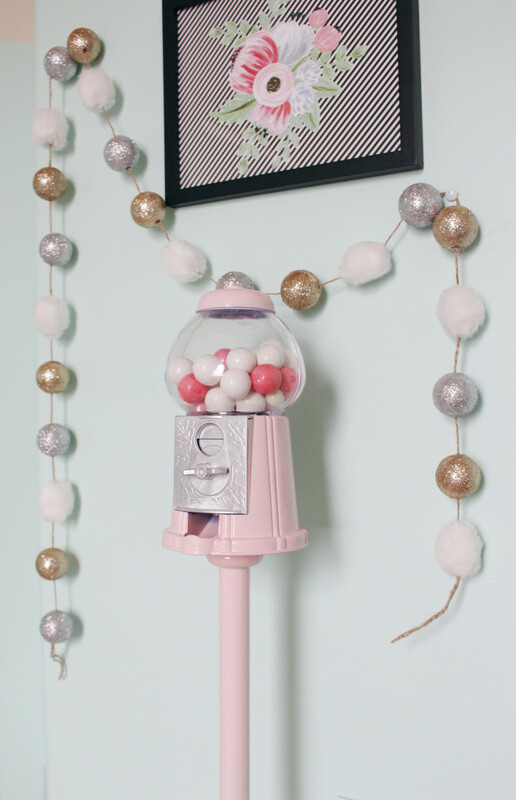 Well lucky for you, and especially me, this project took like maybe an actual half hour out of my life and now I have an adorable little gum ball machine stand reminiscent of the retro ones I’ve always wanted. Not so reminiscent of the actual stands, though, was the price of this sweetie! 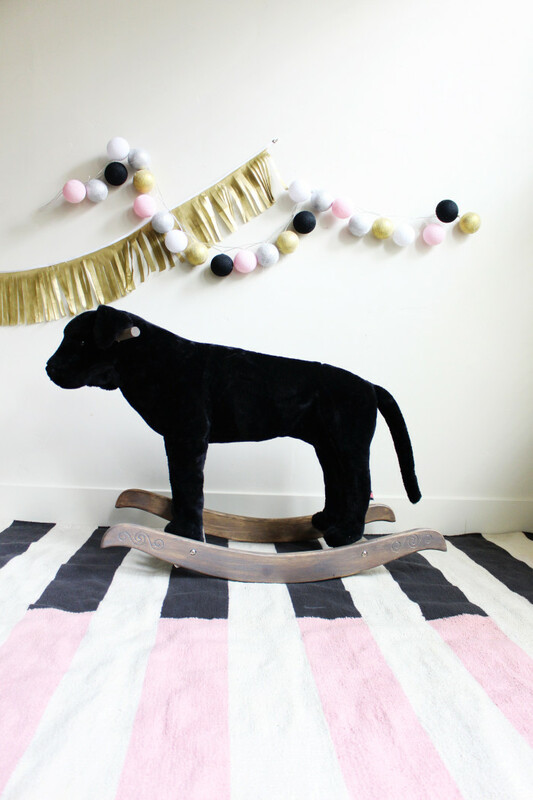 DIYing this cute little version only cost $15, whereas the stands you can find online run you a minimum of $60. Of course this one isn’t sturdy glass and metal (it’s plastic with a metal stand) and therefore probably won’t last you as long but if you’re anything like me, you know you may not always have a need/desire for a pink gumball machine so whipping one up real quick, for 1/3 the cost, even if it only lasts you a couple years, is A-OK.
And, with a little metallic spray paint, I think this machine looks just as good as the real thing! 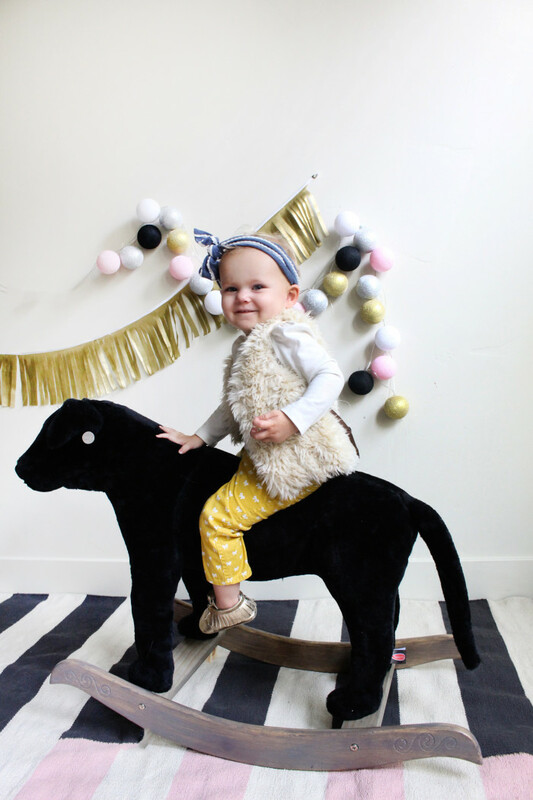 Except it’s more appropriate for a toddler’s room and I was able to make it the height I wanted. 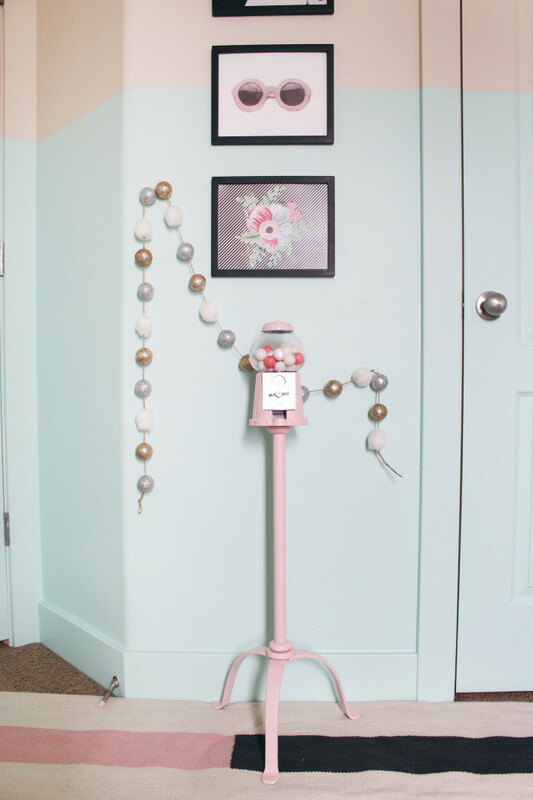 I love our custom little bubblegum machine stand! Click “read more” below to see how I made it and make one for yourself!